When you’re ready to purchase new hard surface floors for your home, the question of wood versus laminate may arise at some point. There is not a simple answer to this question. Wood and laminate have their own unique qualities that an individual has to decide which is best for their home. Here is some information that might help you decide between real wood or laminate flooring. Laminate is usually made up of high density fiberboard core pressed between a melamine laminate backing, a high quality photograph with an image of the natural floors, and a melamine laminate top. Some laminate planks are made with a thin slice of real wood veneer that replaces the photographic paper. 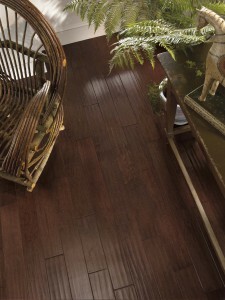 Laminate flooring is easy to maintain and never needs wax or polish. Both hardwood and laminate have their own benefits and drawbacks. Hardwood floors can be scratched easier than laminate floors; however scratches are much easier to fix with real hardwood flooring. If a laminate floor is scratched or tears, it is much more time consuming to get the scratch fixed. Hardwood can be sanded to remove imperfections, laminate flooring cannot. Laminate flooring companies do make touch up and repair kits and you can plan ahead to have a few plank replacements handy when you purchase your flooring. With hardwoods, a simple light sanding usually will do the trick. If you have pets or think that scratches and scuffs are a high possibility, hardwood may be a better option for your situation. One of the benefits of laminate over hardwoods is that laminate flooring does not fade in the sun or change color overtime. Most stained wood floors will fade or change colors over the years. 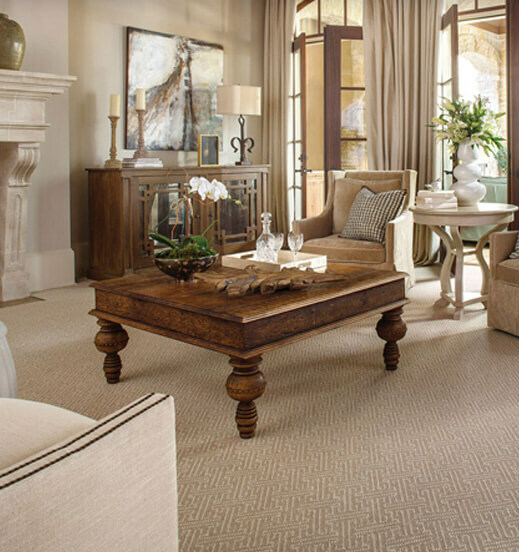 Unlike laminate however, wood can always be refinished and restored to its original luster. Both hardwood and laminates can be affected by excessive moisture but only laminate is able to hold up if it is put in a kitchen or bathroom environment. Rooms that get a lot of moisture are not well suited for real hardwood. Ultimately it is up to you to decide if you want to go with hardwood or laminate flooring, this choice is made easier by assessing your personal needs and weighing the pros and cons of both materials.